ABC Warehouse is a customer electronics company located in Pontiac, Michigan. It was established by Gordon Hartunian ,in 1964 and manages over 58 retail stores in Ohio, Indiana and Michigan. The retail store chain manages Mickey Shorr electronics stores. During 1980s, ABC Warehouse utilized Ernest P. Worrell in its TV promotion. General Electric signed a fiscal agreement with the retail store chain. ABC Warehouse makes use of No Frills warehouse approach in vending domestic devices, electronics, TVs and computers. 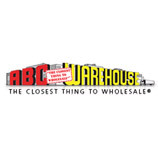 ABC Warehouse is well known for The closest thing to wholesale pricing. ABC has developed to become the biggest domestic device or electronics dealer in the locale. There are currently 0 consumer reviews about ABC Warehouse available. Share your review. Please take a note that you are about to post a public review about ABC Warehouse corporate office on CorporateOffice.com. This review will be public, so please do not post any of your personal information on this website. If you would like to contact the corporate offices of ABC Warehouse, please use their contact information such as their phone number, website, and address listed above to contact them. However, sometimes staff from ABC Warehouse headquarters do read the reviews on this website.